Replacing fuel. Fueling an airplane that meets the weekly service Tirua - Mocha Island. 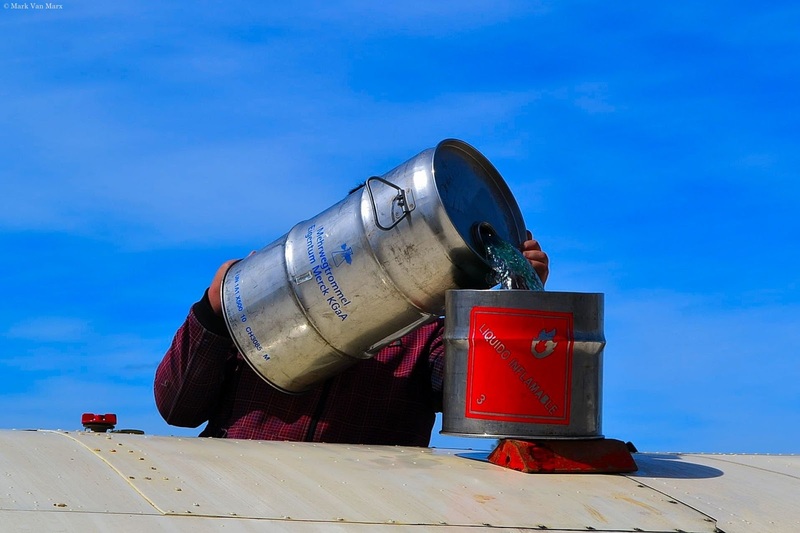 While fueling the airplane, a little of the fuel spattered the wing. I had to travel in this airplane with the wing all sprinkled with highly flammable fuel. Fortunately our pilot was very skilled and we arrived at destination safe and sound. Tirua. South of Chile.